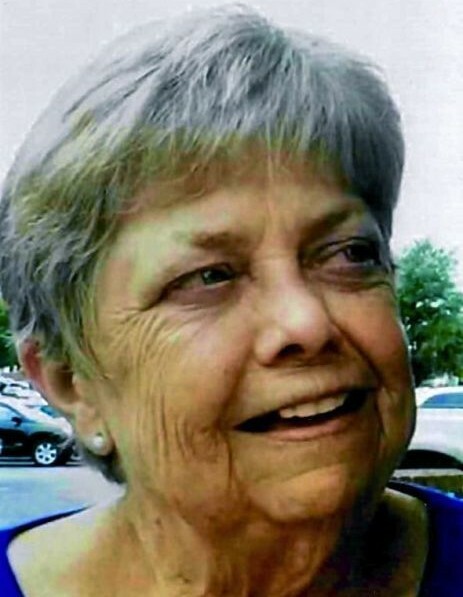 Emma Jean “Sis” Willett Hoffman, 76, of Lexington, passed away Sunday, March 31, 2019 at Wake Forest Baptist Medical Center surrounded by her loving family. The graveside service will be held on Thursday, April 4, 2019 at 2:00 p.m. at Bennett Baptist Church, where she was a member, with Rev. Edwin Moore and Tony Estridge presiding. The family will receive friends in the fellowship hall after the service. Emma was born on June 16, 1942 to Rudolph and Pearl Routh Willett. She was retired from the upholstery business. She enjoyed playing bingo, cooking for her family, UNC basketball, going to Cherry Grove beach with her friends and spending time with her family. She especially treasured time spent with her grandchildren and great-grandchildren. In addition to her parents, Emma was preceded in death by her brother, R.C. “Tink Willett” and an infant sister. She is survived by daughters, Donna Langley, of Staley, Carla Thomas of Liberty, Pam Tysinger (Eddie) of Lexington; son, Greg Brafford of Lexington, 10 grandchildren, 15 great-grandchildren, with another one on the way; sisters, Elaine Estridge (Tony) of Bennett, Dottie Mendenhall (Larry) of Siler City; brothers, James “Bub” Willett (Vernece) of Asheboro, Bill Willett (Pat) of Bennett, and a host of family and friends. Special thanks to Wake Forest Baptist Medical Cancer Center ICU and nurse Grace for their excellent care. Flowers are accepted or donations may be made to Wake Forest Baptist Medical Center, 1 Medical Center Blvd, Winston-Salem, NC 27157. Joyce-Brady Chapel is honored to serve the Hoffman Family.